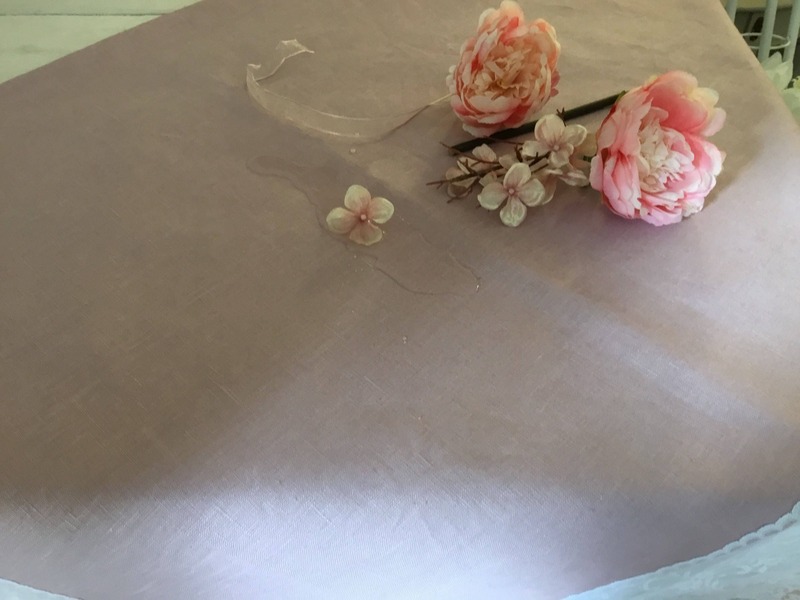 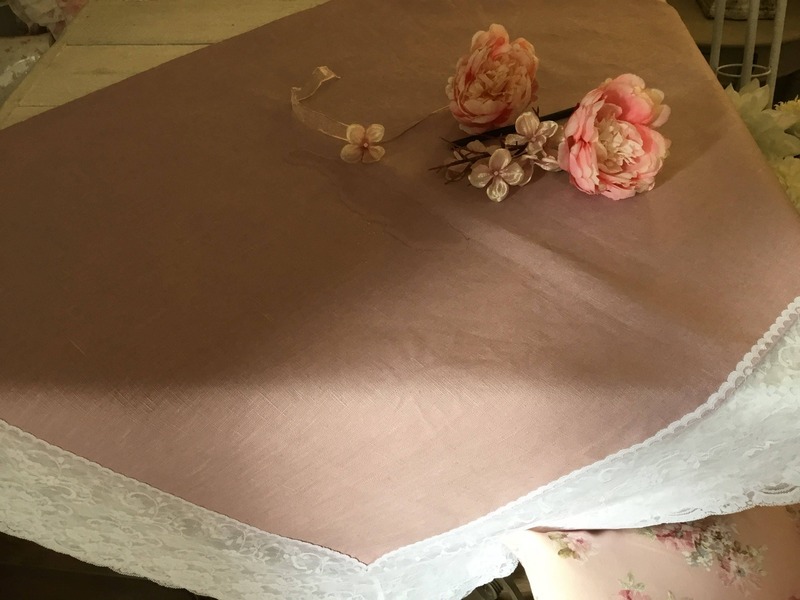 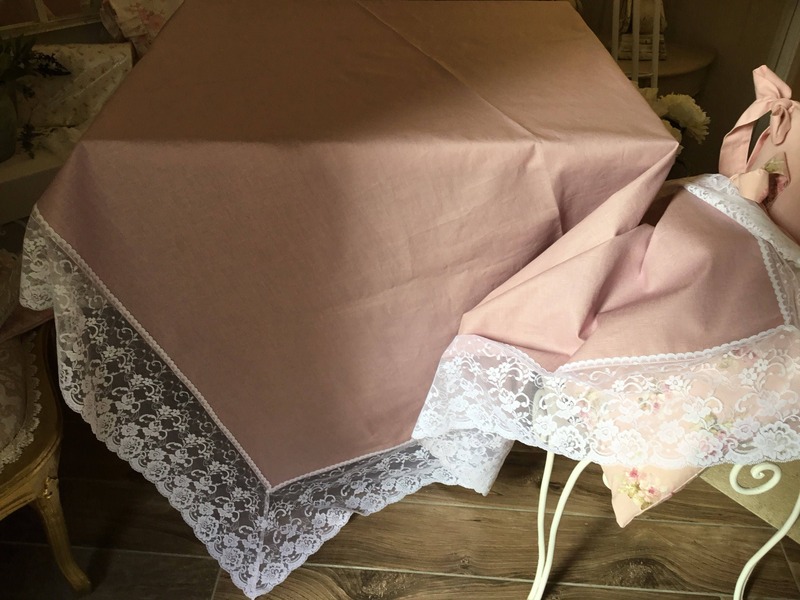 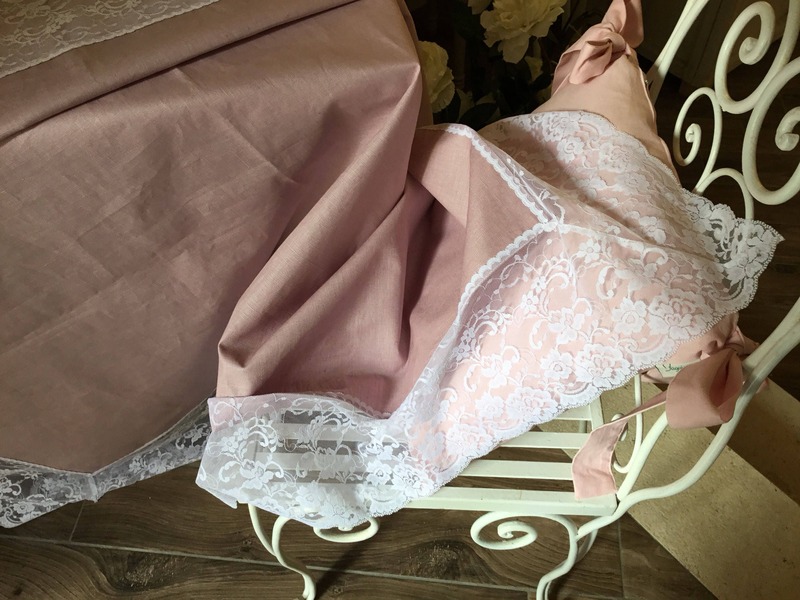 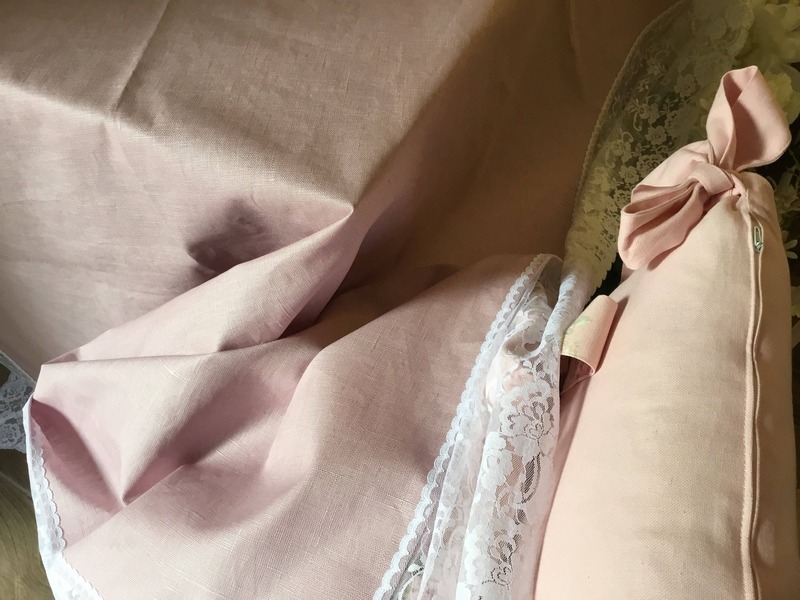 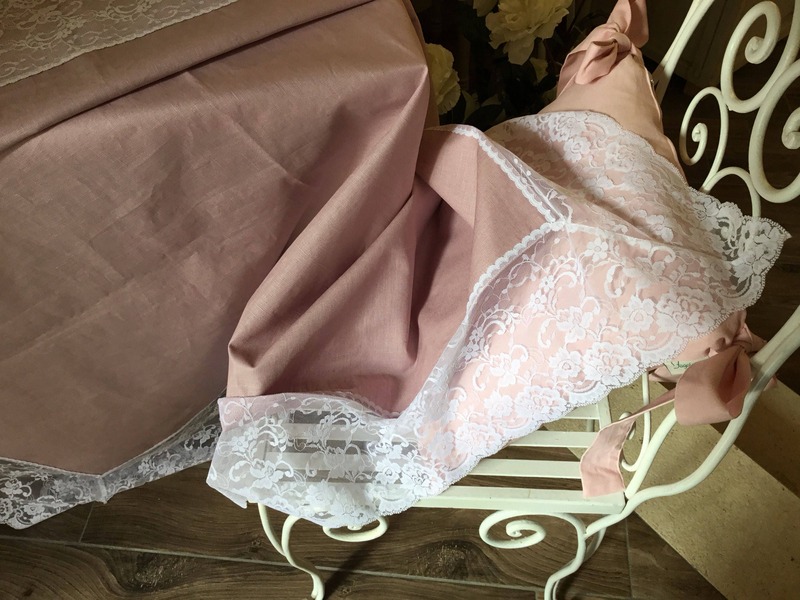 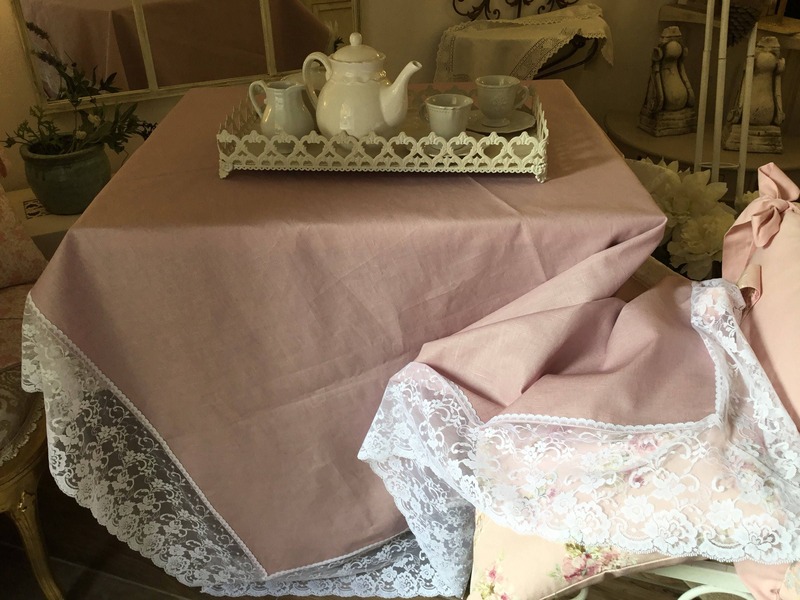 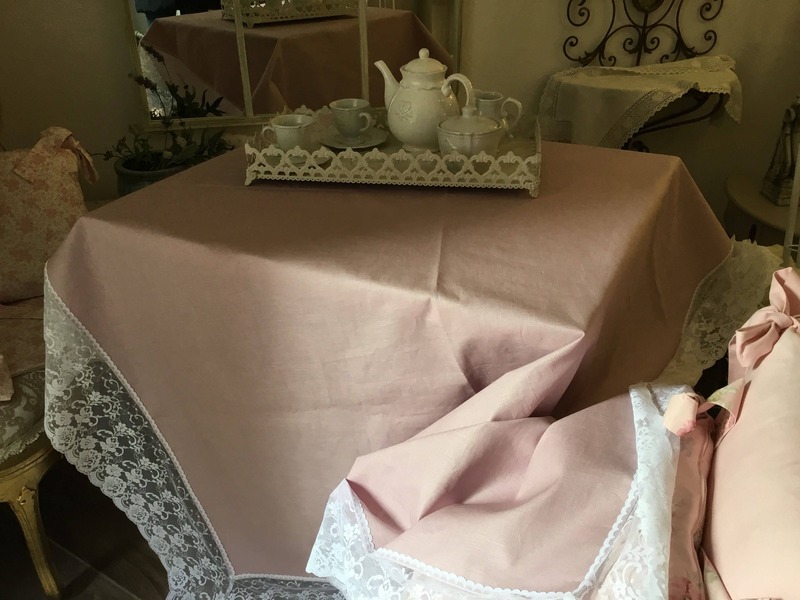 Tablecloth in pink linen resined with white lace. 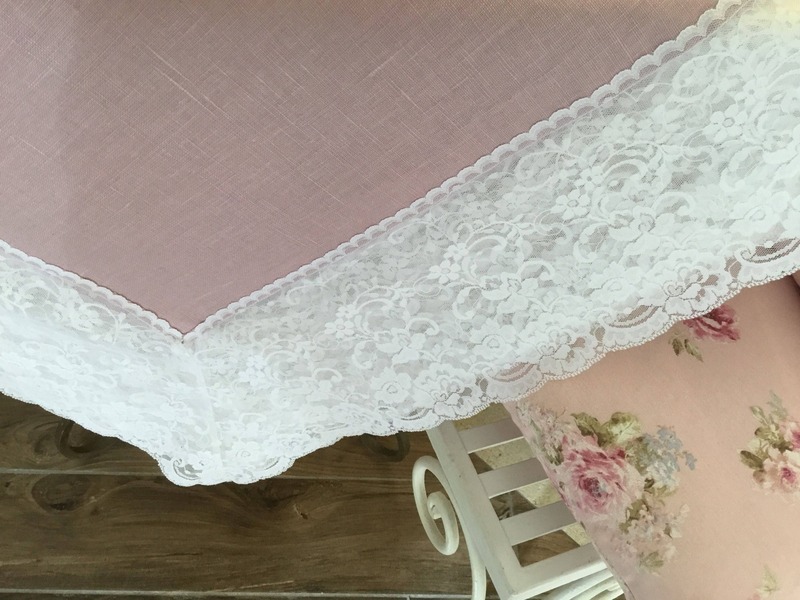 Stain of fabulous and romantic effect. 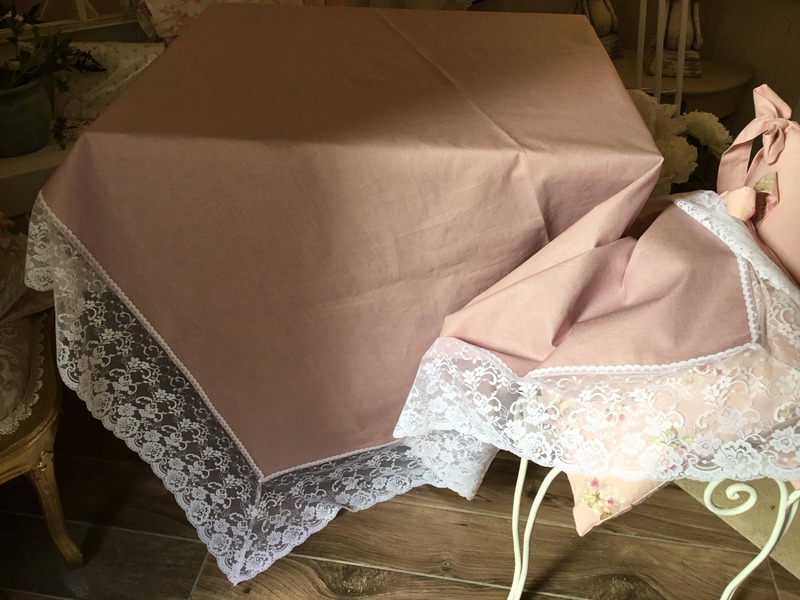 Ideal for a table of great style.